6. What size of pearls to choose? 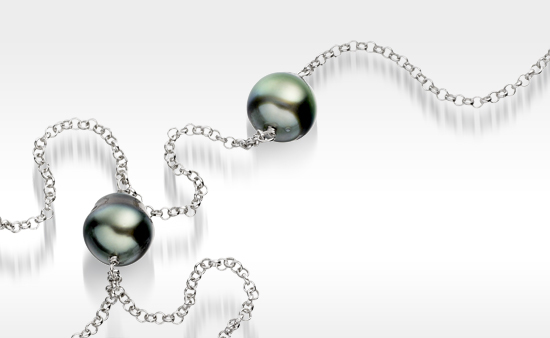 It is more difficult and more expensive to produce a larger cultured pearl, particularly above 11mm in diameter. Some oysters such as the Akoya oyster are physically unable to produce a pearl that are larger than a certain size. Each additional millimetre of diameter can significantly increase the rarity and value of a pearl, so it is important to think about the right size of pearl for you and the overall look of the jewellery. A pearl size between 7mm to 9mm is highly popular for a classic necklace, whereas a larger pearl size above 11mm can be much more of a statement luxury item. If you are considering jewellery and prices from different retailers, make sure you compare the size of the pearls. 7. What shape are the pearls? Pearls come in an astonishing diversity of shapes that can be classified as spherical, symmetrical or baroque. 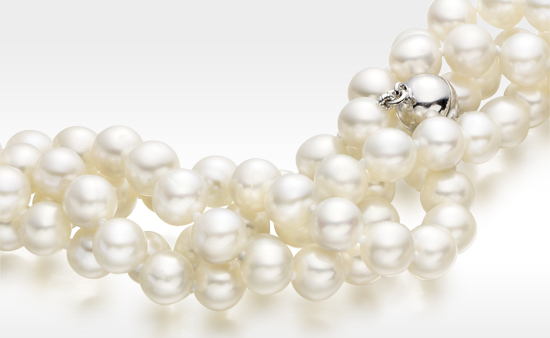 Perfectly round pearls form a small proportion of annual cultured pearl harvests and are more expensive. Freshwater pearls, in particular, are unlikely to be round due to the method of culturing these pearls. Near round and symmetrical button freshwater pearls typically are more common and not as expensive. Baroque pearls are found in irregular shapes that can make them individual and exquisite, often showing a rainbow of colours on their surface. Choose a shape of pearl that fits the jewellery design and your budget. 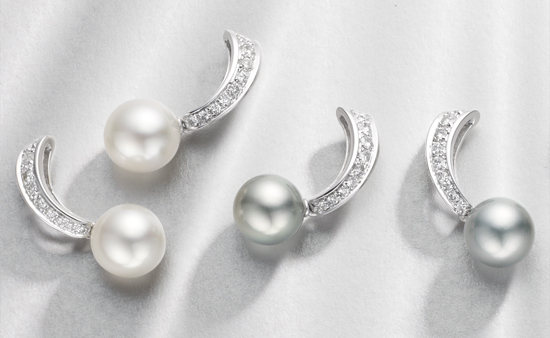 If it is the look of a classic round pearl that you wish for, check first that they are indeed round. 8. Is the surface of the pearls marked? A beautiful pearl, like a diamond, is a rare and expensive gem. Minor markings or spots on a pearl are quite normal and contribute to their character. Most buyers of pearls understand that a pearl may have small variations in surface, emphasising their individuality. More significant scratches, cracks and holes on the surface of pearls will impact their value and lifetime, even causing a pearl's nacre to break or peel. Ask an experienced jeweller if you are considering buying pearls that are heavily blemished. The price of your pearl jewellery will depend on the number of pearls used and the quality content of any metal that is designed into the jewellery such as silver, gold vermeil or 9, 14 and 18 carat gold. For centuries, pearls have also been matched in jewellery with precious and semi precious stones such as diamonds, agate, onyx and amethyst. Always compare the length of a strand of pearls, understand the hallmarking of a metal and the precious or semi-precious stones used. 10. Does your retailer understand pearls ? The diversity of pearls makes it a puzzling task to match pearls together for jewellery. This may often require access to a large stock of pearls. The better the pearls are matched based on size, shape, colour, lustre and surface quality, the more likely the jewellery will be balanced and beautiful. Look for a specialist retailer with a reputable knowledge of pearls. Trade associations such as the NAJ can be helpful sources of information in finding a good local or online jeweller. What is a Pearl Momme ?